Opening hours: Shops are usually open from Mon-Fri from 10am to 1pm and 3pm to 7pm. On Saturdays, most shops close down at 1pm. Shopping centres tend to be open from 10am to 11pm or even until midnight all week. As one of Porto’s oldest monuments and one of the most important Romanesque monuments in Portugal, Porto Cathedral is a defining landmark of the city and it resembles a grand fortress overlooking the city. Built in 1110 and located in the historical city centre, it is definitely worth a visit for the views, stretching from the old historic part of the city to the sea. The “Riverbank” quarter of the city is where you can explore the winding streets of the historic heart of the city and where the dark shadowy paths contrast with bright colourful facades. This is a great place to venture out during the day and during the night, when the array of restaurants and nightclubs open their doors. Clerigos Tower, Torre Dos Clerigos, is an 18th-century tower built by the Italian artist Niccolo Nazzoni, stretching 75-feet in the air and offering fantastic views once you make it up the 240-step climb to the top. 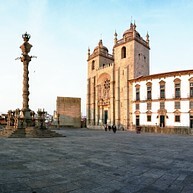 Nazzoni also chose to be buried in the Baroque church at the foot of the tower. 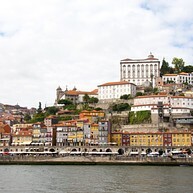 Across the Douro River, you can visit the port wine caves of Vila Nova de Gaia. 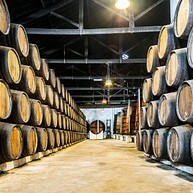 There are over fifty wine companies found in this area, with wine lodges offering organised tours and tasting sessions. The privately owned English wine company Taylors is a recommended lodge. At the Soares dos Reis National Museum you can immerse yourself in 19th- and 20th-century Portuguese painting and sculpture. After the visit you can enjoy a coffee in the café. If modern art is more to your taste then this museum offers some of the best collections featuring contemporary Portuguese painters and sculptors. There are also some contributions from internationally known artists such as Warhol and Pollock. 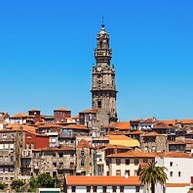 This tower, also called ‘Torre da Cidade' (=Tower of the City), was discovered during the demolition work of the 1940s and reconstructed 15 meters away from its original position. Nova Sintra Park is one of the largest green spaces in Porto. 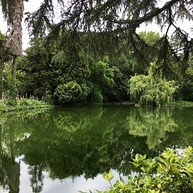 The garden was built in 1932 and it is a very peaceful park where you can enjoy botanical diversity: 40 species of trees, fountains, many alleys and the Duoro River runs here. Yellow Bus Tours do not only offer normal city tours by bus, as they also use boats and trams to show you around in the different areas (and waters) of Porto. 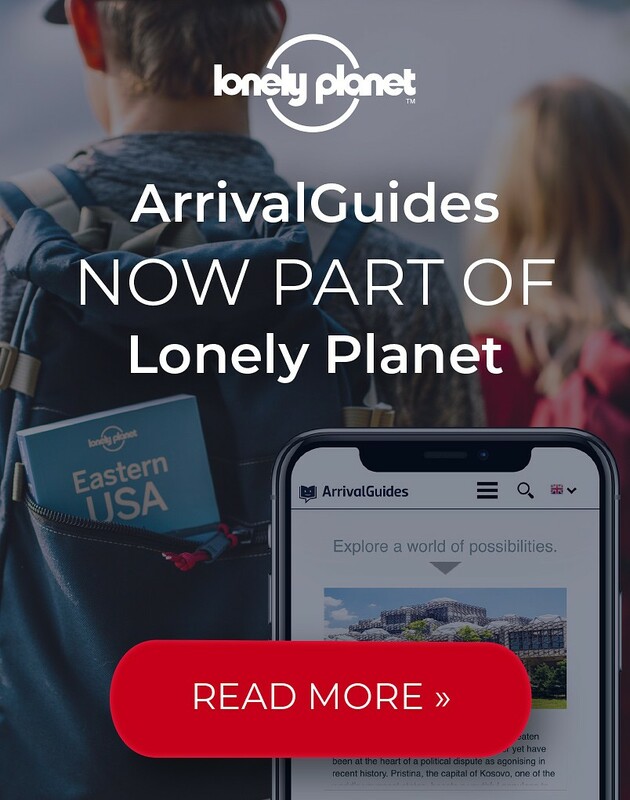 A normal bus tour takes around 50 minutes. 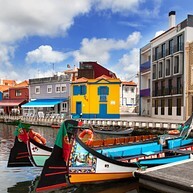 Aveiro is known as the Venice of Portugal, located about 25 kilometres south of Porto. This town is surrounded by beaches, lagoons and the beautiful canals that run through the whole town. 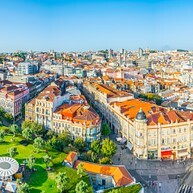 It is easy to reach Aveiro by train: several trains leave from Porto to Aveiro each day and the journey takes about an hour. 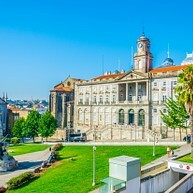 The Stock Exchange Palace is also known as Palacio da Bolsa and it is one of the most appreciated tourist sights of Porto. Constructions on this palace started in 1842 and it was completed some 30 years later. Here you can gaze on beautiful halls and admire the neoclassical style. It has been classified as World Heritage by UNESCO. If you like football, head over to this place for a guided stadium tour of around 45 minutes. The Dragon Stadium, Estádio do Dragão, is the home arena for FC Porto and it is estimated to have cost €98 million. On this tour you will see the presidential box, changing rooms and dugouts. Sao Francisco Church, Igreja de São Francisco, has one of Europe's most amazing and extravagant interior: from the outside, it looks like an ordinary 14th century Gothic and Baroque construction but in the inside, it is completely covered in gold. This great church is selected as one of UNESCO's World Heritage, make sure to also visit the catacombs. Ponte Dom Luis I is one of Porto's most famous landmarks. 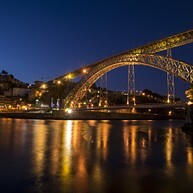 This bridge links Porto to Gaia and it is well worth a visit, especially for and after sunset. 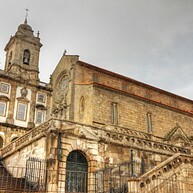 The Santa Clara Church was built in 1416, and it is a feast for the eyes of those who are fascinated by different architectural styles like Gothic and Renaissance. This French Beaux-Arts rail station designed by Jose Marques da Silva is truly beautiful. 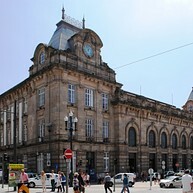 The station was built during the 16th century but reconstructions were completed in 1916.